During a recent “office cleaning”, we stumbled across several old copies of PC Magazine. Being the technologists we are, we just had to read the articles. 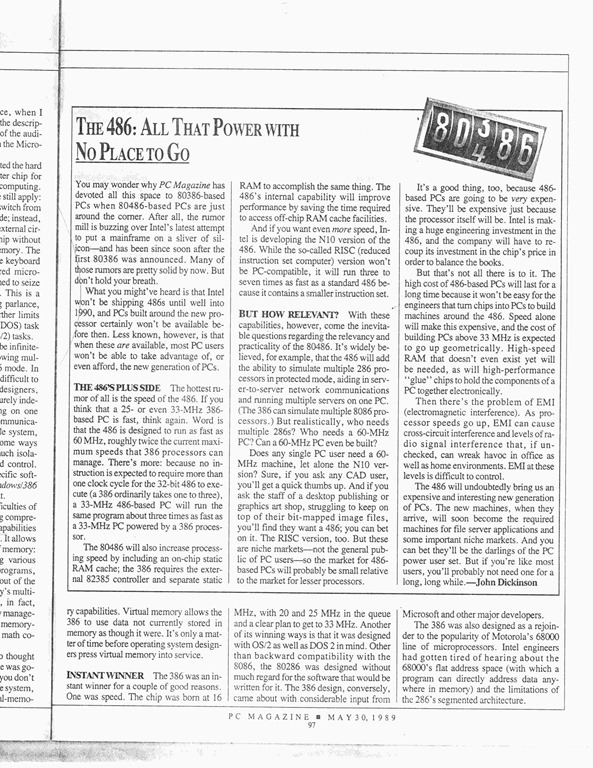 One specific article titled The 486: All That Power with No Place To Go really caught our attention. 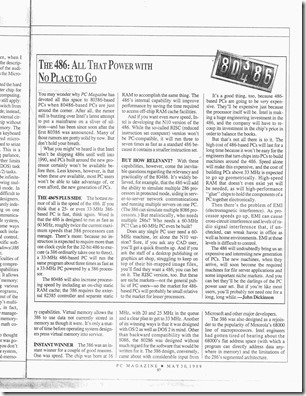 This article demonstrates just how fast technology changed in the 90s and 2000s. This entry was posted in Solutions on March 18, 2013 by ArmgaSys.